What do you say about someone who sold over 100 million albums, defined pop music for a decade and was Britain’s most played artist from 1984-2004? Someone who generously gave his time, presence and untold millions to untold numbers of causes and individuals alike? Someone who had to wrestle with the twin demons of drugs and drink? Someone who was forced to publicly acknowledge his true sexuality at a time when being an out, gay popstar was taboo? Someone who was one of the Internet’s lesser-known MusicTech pioneers (more about that below)? Act I: An evening with George Michael. 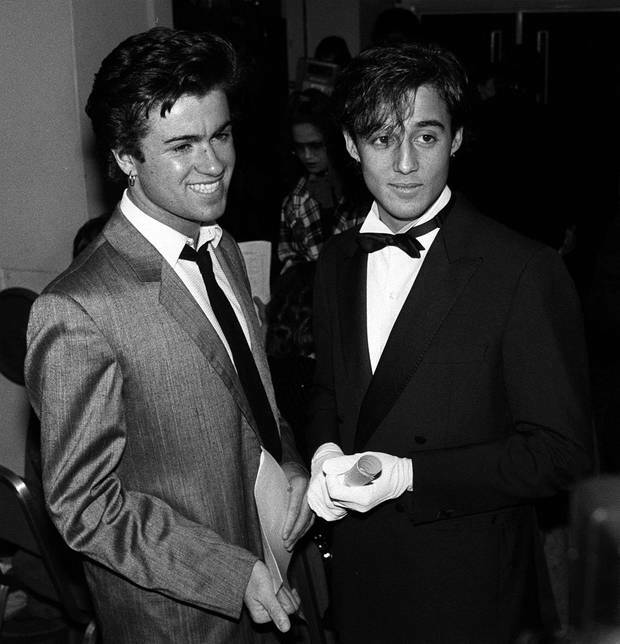 George and Andrew in their Wham! Heyday. 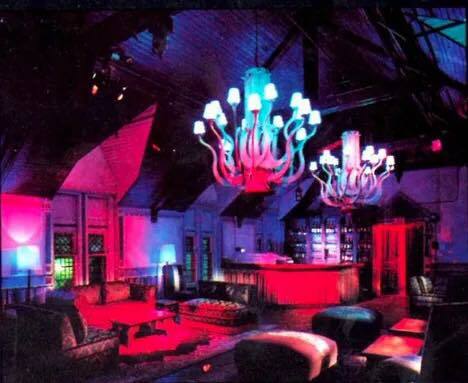 Back in 1985, I met George Michael when I was working as a doorman of the Limelight VIP Room – yes, that was a real job. He came in one night at about 11PM with a couple of bodyguards and an exec from Epic (his/Wham!’s label). As was the practice of the time and place with VVIPs, we led them to a roped-off area containing a couple of banquettes, a big glass table, a few champagne flutes and a bottle of Cristal. Once sorted out, we left him to go about his business. For the next couple of hours, I spoke to his head of security, a great guy who regaled me with the intricacies of protecting George, Wham! and attempted to recruit me to work for him. It was at this point that George called us both over. After introducing himself (he was really nice and very low-key), he asked if I could go down to the dancefloor to find a couple of women we could hang out with and bring them upstairs. Not the hardest assignment. A little weird though. I found what I thought were two very nice people, brought them upstairs and introduced them to George. He then asked the three of us to sit with him. It was pretty cool. My memory of the actual conversation is blurry – it was mostly surface-level pleasantries. Despite his celebrity (or maybe because of it), my lasting impression was that he was a pretty shy and lonely guy who was just happy to have someone to talk to that night. As for me, I was just glad to be there. And, though I later ended up spending a lot of time hanging out with his longtime bassist (and great musician in his own right) and friend Deon Estus, that was the only time I hung out with George. I’ll always be grateful life (and George) gave me the opportunity to do so. The fact is, George Michael’s music’s been a big part of the soundtrack of my life since I was 17. I’ll admit it, this made it into my record collection in 1983. 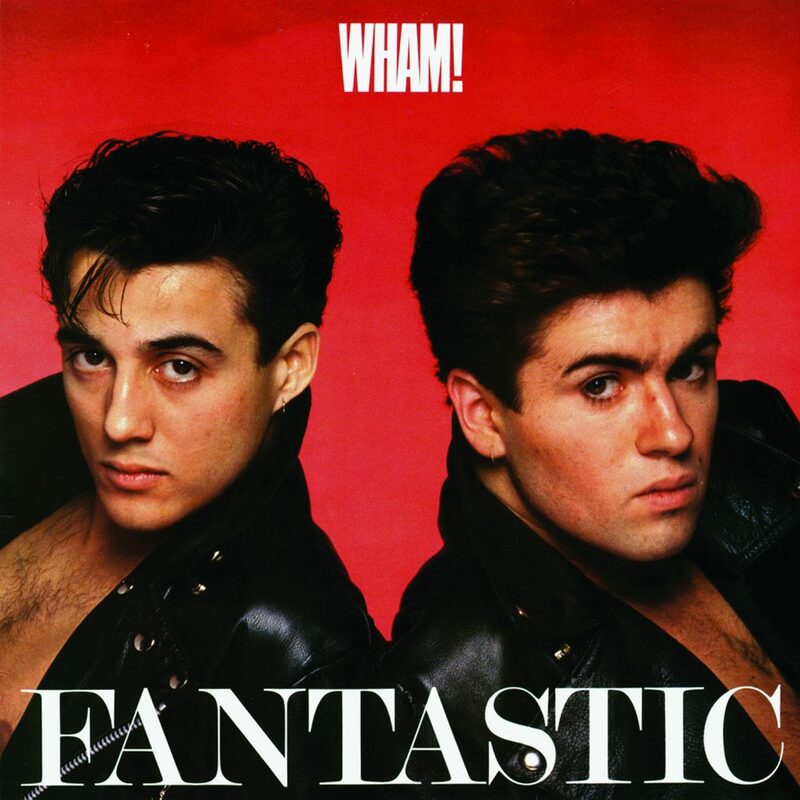 From the time I bought Wham!’s debut album “Fantastic” as a high schooler in 1983, to the debut of “Make It Big,” during my clubbing days, to my college years in NY and Paris with “Faith,” and “Listen Without Prejudice, Vol. 1,” to adulthood with “Older” and “Patience,” he was always there, in my ears, in my head, and on the dancefloor. 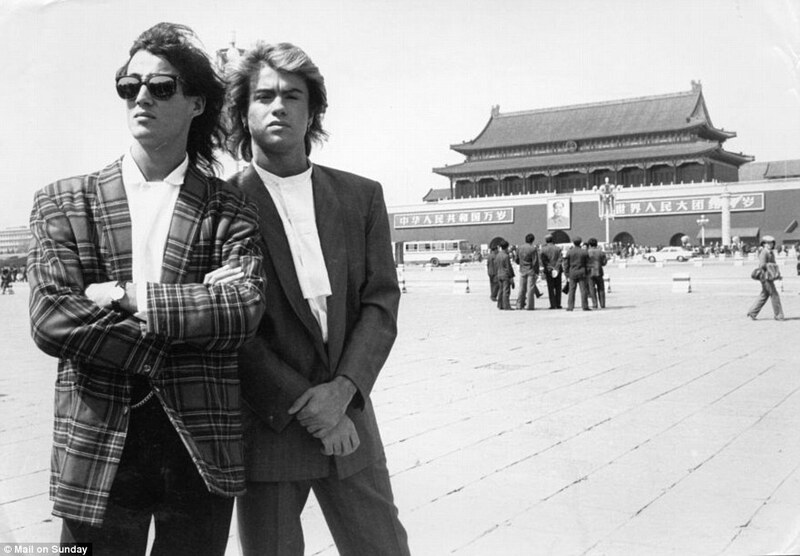 And, through all his struggles and successes (like opening up the Chinese pop music market with Wham!’s 1985 tour) there was one constant – his talent. What I’m pretty sure you don’t know is that he was one of the early Internet’s true MusicTech innovators. Here’s the skinny. Have you ever heard of AEGEAN.NET? Probably not. And that’s a shame because it was one of the most innovative music/artist-centric websites of the mid-90’s. 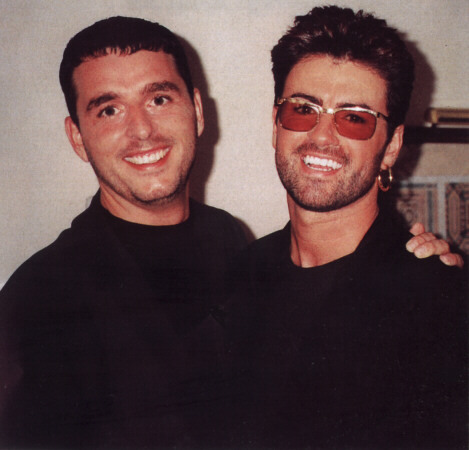 AEGEAN.NET was the Internet arm of Aegean Records, the label George Michael and his childhood friend Andreas Georgiou founded in January 1991 in the aftermath of the breakdown of Michael’s relationship with Sony. The label, which still exists, serves as a repository of Michael’s post 1991 catalogue, along with music from artists Surreala, Mutya Buena, Toby Burke and Trigger. But the website’s the REAL story here. 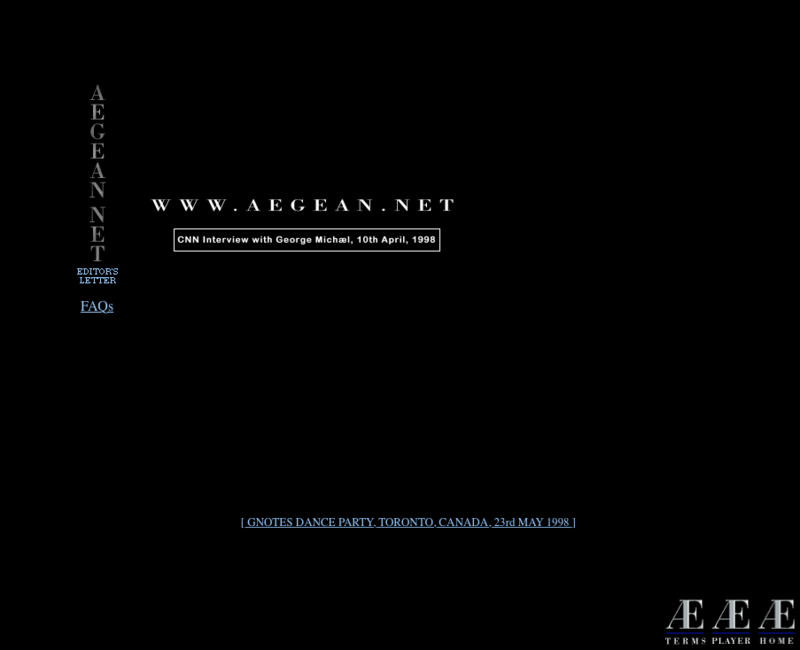 In May 1997, a year after the release of his third solo album “Older” and a full year before the launch of David Bowie’s vaunted internet portal BOWIE.NET, Aegean.net announced the launch of a suite of innovative interactive and e-commerce elements to connect George, his music and the music of other Aegean artist to their fans. This was a big deal when most every artist website looked something like this and the music portals at the time looked like this and this. 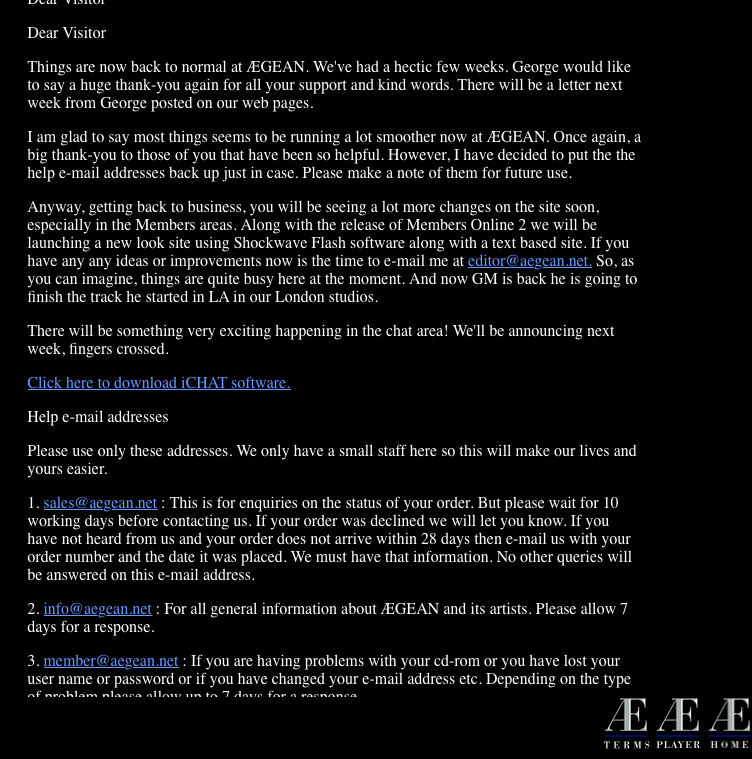 And though a few other artists at the time were experimenting with selling music online, George Michael’s Aegean.net was what we would consider the first real artist-owned and run web portal. As an Internet executive at the time, I experienced the website first hand, and I was impressed with what they were doing – they made real the future of music I saw in my head. Participation in polls, contests and messaging with George, other members and artists. NO ONE was doing anything near this at the time. NO ONE. George and Andreas were pushing the limits of 1997-1998 Internet technology – it was a massive technical undertaking, and the fact that they pulled it off is one of the Internet’s most unsung achievements. So what happened to Aegean.net? Well, based on my observation at the time and the evolution of the website, it seems like George lost interest in the project, and Andreas moved on in 1999. 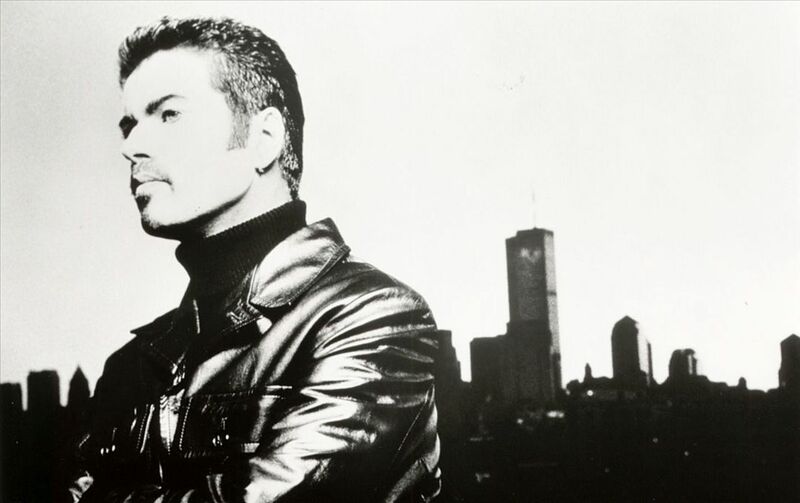 In later years, the URL forwarded to the georgemichael.com website, and is now owned by Pay-Per-Click company Fabulous.com. Which is a shame, as Aegean.net was years ahead of its time – hosting chats with over 20,000 people, selling merch and music online – they had a real genesis of something much bigger. And though his artistic life continued apace, with the release of “Patience,” his fourth and final album of original material, an extensive world tour between 2005-2010, his acting debut in 2008 in the short-lived TV series Eli Stone, the release of a re-make of New Order’s “True Faith,” the prophetic single “White Light” and the orchestral reworking of his music and subsequent Symphonica tour and album, like many, I stopped paying attention to George Michael save for when a BBC News alert came through my iPhone’s transom with an update on his latest escapade, run in with the law or industry accolade. It was through such a news alert that I found out about his death on Christmas evening. And though I was saddened, I wasn’t shocked. He lived as hard as he worked, he was a good person, he helped many people, and he left a lasting musical legacy. Not a bad way to leave the planet. Rest In Peace George. You were, as the video below testifies, one of the greatest recording artists – and tech innovators – of all time.